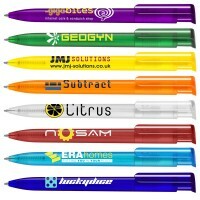 We have a large range of promotional pens and pencils available. 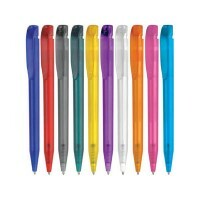 From Curvy Contour Ballpens, through to the sleek design of Parker Jotter Ballpens. 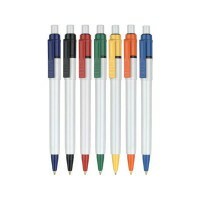 Promotional Pens are the most popular style of promotional product available. Suitable for any budget, ideal for mailing campaigns, exhibitions, general promotional giveaways. 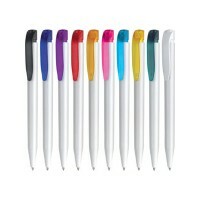 We have different coloured pens for every colour scheme. Harrier Frost Ballpens: Designed specifically as an advertising item, this range of printed custom pens is the ideal product for low cost promotions without compromising on quality. 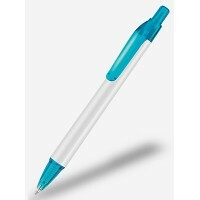 Perfect as hotel pens, exhibition giveaways or general promotional products. Harrier Extra Ballpens: Designed specifically as an advertising item, this range of printed custom pens is the ideal product for low cost promotions without compromising on quality. 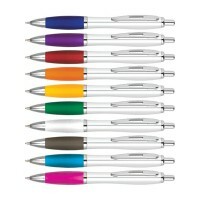 Perfect as hotel pens, exhibition giveaways or general promotional products. 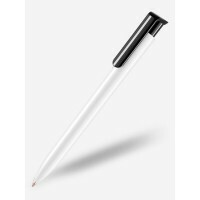 The Curvy Contour Extra Ballpen is one of the most popular pens in the promotional industry .Sculptured, white body with coloured rubber grip and chrome trim at a very low price point, making it the ideal promotional advertising pen suitable for all campaigns. The Contour Frost Ballpen is one of the most popular pens in the promotional industry .Sculptured, translucent body with matching coloured rubber grip and chrome trim at a very low price point, making it the ideal promotional advertising pen suitable for all campaigns. Panther Extra Ballpens One of the best selling promotional pens in the market offering a large print area and at a great price. 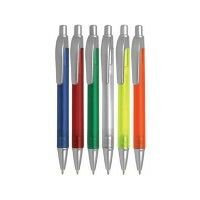 These printed custom pens are ideal for any promotional campaign or event. Available on a Same-Day Express Service at no extra charge. 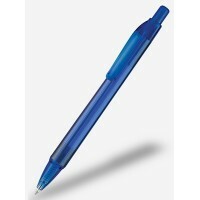 Panther Diamond Ballpen Offering a more contemporary look with bright translucent barrel and trim, the Panther Diamond suits any promotional campaign. The Panther Range has a registered design and trademark. 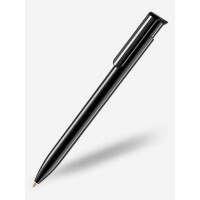 Panther Plus Ballpens One of the best selling promotional pens in the market offering a large print area and at a great price. 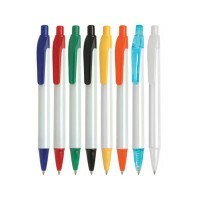 These printed custom pens are ideal for any promotional campaign or event. Available on a Same-Day Express Service at no extra charge. The Absolute Frost Ball Pen is the universal pen for promotions because of its uncomplicated styling that belies its cutting-edge mechanical and writing performance. If you require a pen with robust construction that appeals to both the traditional and contemporary target audience then you are in the right place. 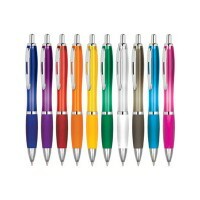 The Absolute Colour Ball Pen come in a range of solid colours with generous print areas on both the clip and the barrel. Standard refill has high quality black documental ink for a wonderful writing experience. With its high quality ABS body, smooth mechanism and documental quality ink, the Absolute Extra Pen range is a very safe choice for your next promotion. Its simple lines and uncluttered appearance is the result of several years of evolution and development and all at a price that is highly competitive.